Leaked internal memos, lack of meaningful communication with its playerbase, rumours of a buyout by a company proven to destroy every intellectual property they touch, a possibly fake financial report showing the company will be closing its doors in October if it can’t raise another $8 million to qualify for a larger loan … if it’s true that any publicity is good publicity, CCP is the most successful gaming company in the world right now. Everywhere you turn: their official forums, player blogs, gaming sites; everyone is talking about CCP. The first followup to the Incarna expansion deploys today. You can read the patch notes HERE. 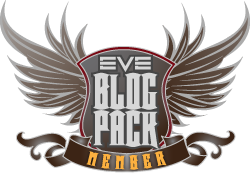 (I normally don’t post patch notes links as if you play EVE Online you probably already know how to find patch notes). As you can see, nothing stellar, and that’s ok.
I’ve spent some time recently extracting the models from ingame for use in my 3D renders. Some have been pretty straightforward: chairs, couches, tables, the various pieces that go in the room. The room itself: walls, floors, ceilings, have been problematic for me thus far. If anyone is handy with Triexporter and wants to give ol Roc some assistance, I’d be happy for it. Seriously, I’m asking. Anyway, I did come up with a new Incarna image, as you can see below. The high rez version can be downloaded HERE. As I was working on this image, thinking of the various pieces I wanted to include to personalize it just for me, it reminded me of my time in SWG. Silly as it sounds, one of the systems they did so well was vanity. I owned mansions, fully decked out with the most rare and collectible items in the galaxy. They were all badges of accomplishment as there were no MT in that game. Even my larger ships (that allowed players to walk onboard), were fully decorated. Many a party were thrown just for me to show off to my online friends all the wonderfully exotic things I had collected over time. It really gave a personalized touch to the game, making it feel like I had a more individual story to tell. Up until Incarna, that has been something sorely lacking within the sandbox of EVE Online. Yes, we all have our own unique histories, and many of us have fleshed out our individual tales through our blogs. Ingame, however, everything is uniform, and I’m ok with that. For now. So what would I like to see available to personalize Captain’s Quarters? What else would I like to see that doesn’t exist? This is what I thought Incarna would be. This is what I hope Incarna will still be. The initial NEX pricing has put me off of clothing purchases honestly. Any of the items in the list above, or of a similar vein, would be more than welcome in my vision of Incarna. A variety of small, reasonably priced microtransactional items that are based on volume, not price point. I guarantee you that if all of these items were already there, I would’ve bought them all, and spent far more than on a single monocle, which has no appeal to me personally (Seriously, Roc with a monocle?). I think that in the coming months CCP should really think about this strategy. They would definitely sell more items, and therefore make more profit. And if and when Incarna finally expands to social areas, think of how awesome it will be to have fellow pilots over just to show off your stuff. Hmmm, guess I talked about it after all. The Pricing did a lot of people in. i agree that i would by 10 items at 2$ much quicker than i would buy 1 item at 20$. Seeing as the object has already been produced, and they can have infinite copies for FREE, there is no production cost. I opened the Nex, sighed in disappointment and closed it. Try harder CCP. If ever there was a man I loved, twas you. How’s it going big guy? Nice render. 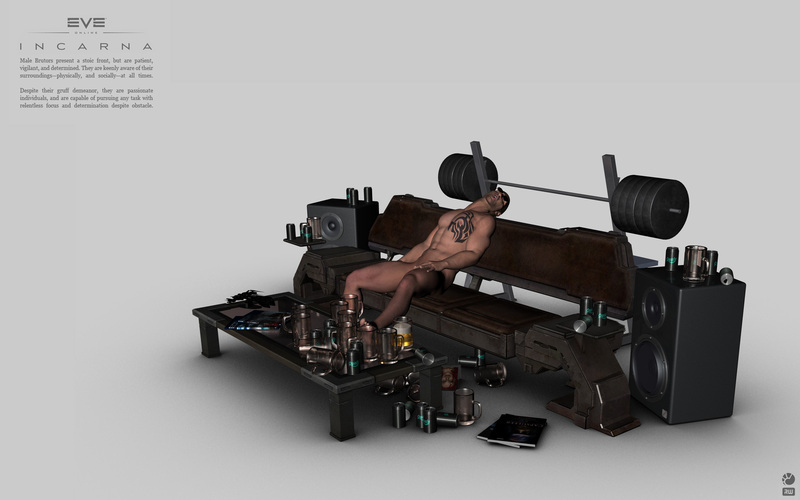 What do you use for your 3D work? I sometimes use a combination of DAZ3D/Lux Render for realistic figure work, or Cinema 4D with VRay for most of my other work. The coming months will show whether incarna will be ccps greatest achievement or greatest folly. At the moment things are leaning to the latter. There is no way CCP could have released cheap cheap micro-transactions with out screwing up the plex market completely. They definitely would have made more money of a bunch of cheap items as opposed to what they have now, but at what cost to the rest of the game? They had a choice, make less money and keep the economy stable, make more money and break the economy. Interesting. Elaborate more on this point please.